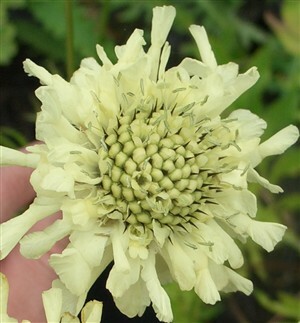 Cephalaria alpina Often confused with C. gigantea this flws mid-summer (C. gigantea is August flowering). and can be 2' shorter. Still with big pale yellow Scabious like flws, virtually unkillable, dramatic and an excellent present for a non-gardener.